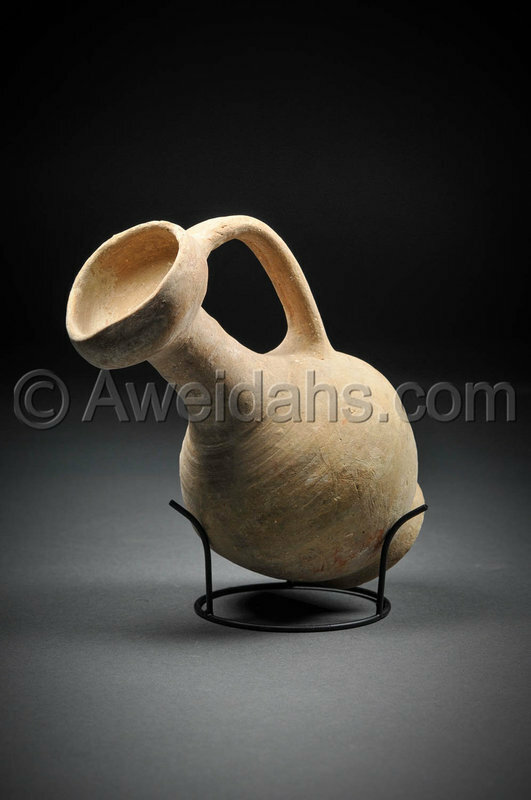 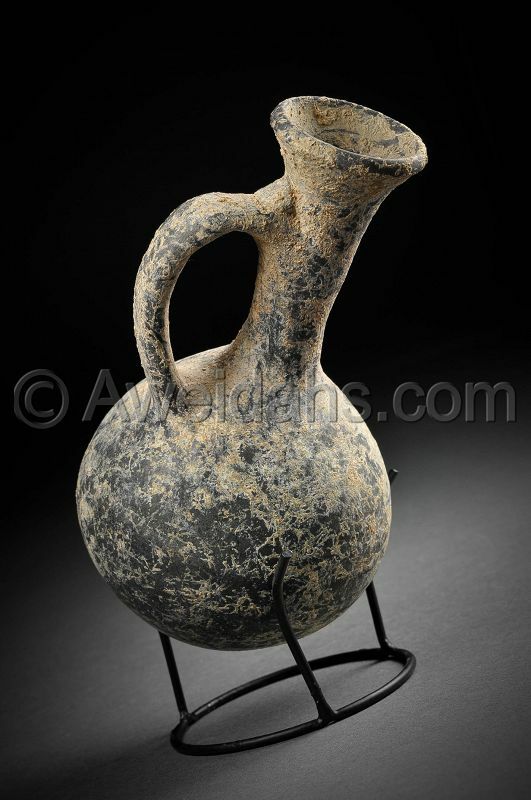 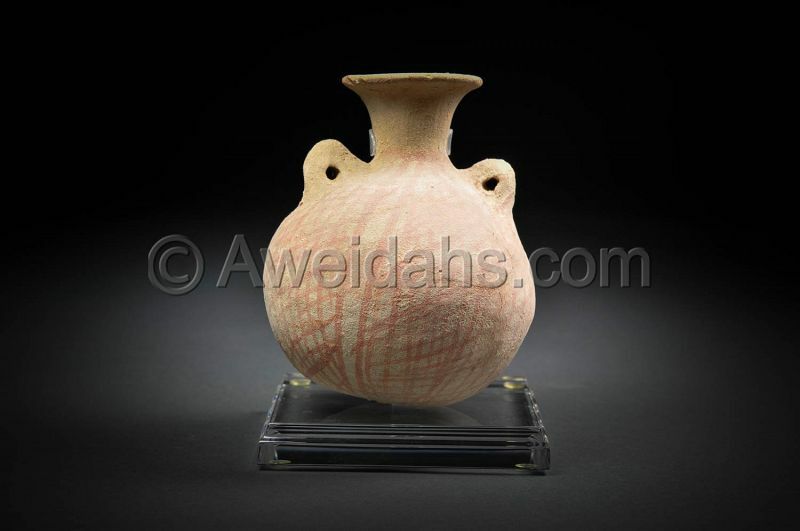 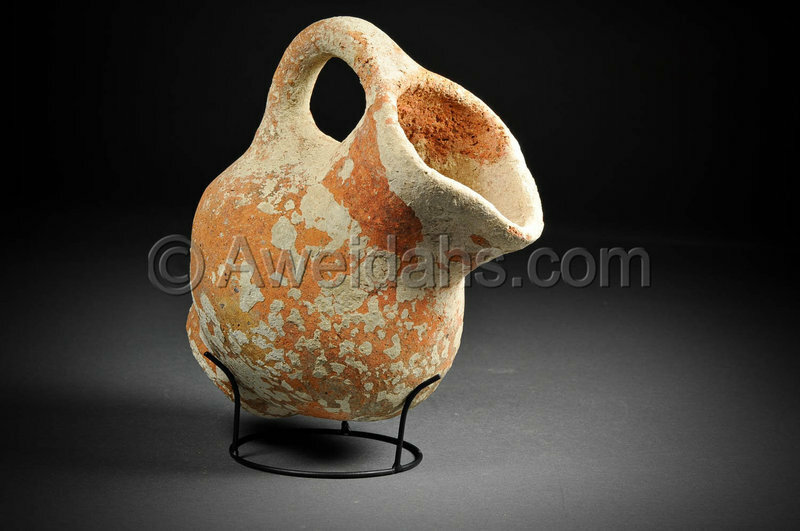 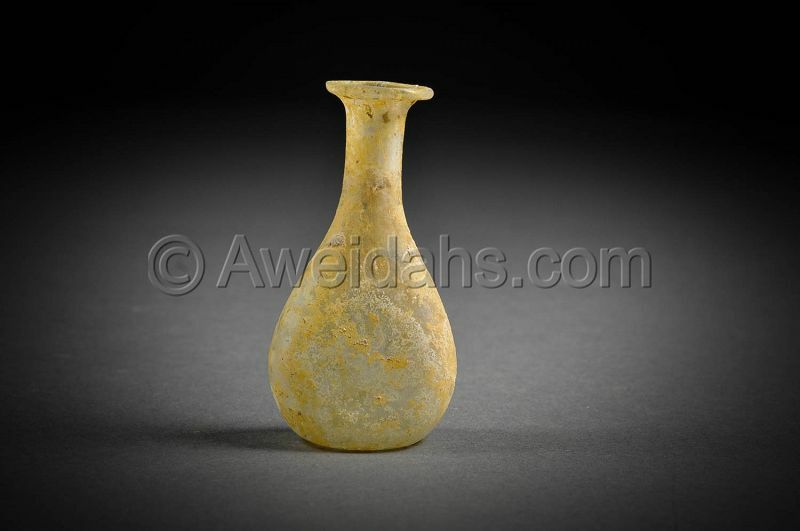 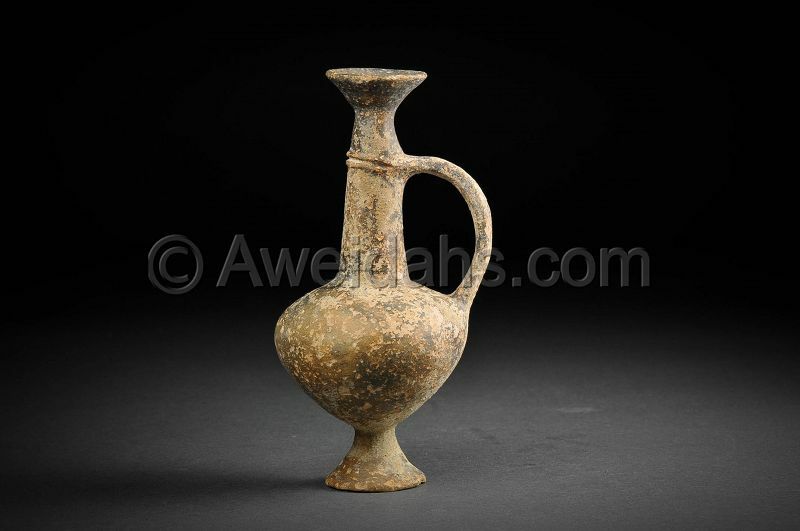 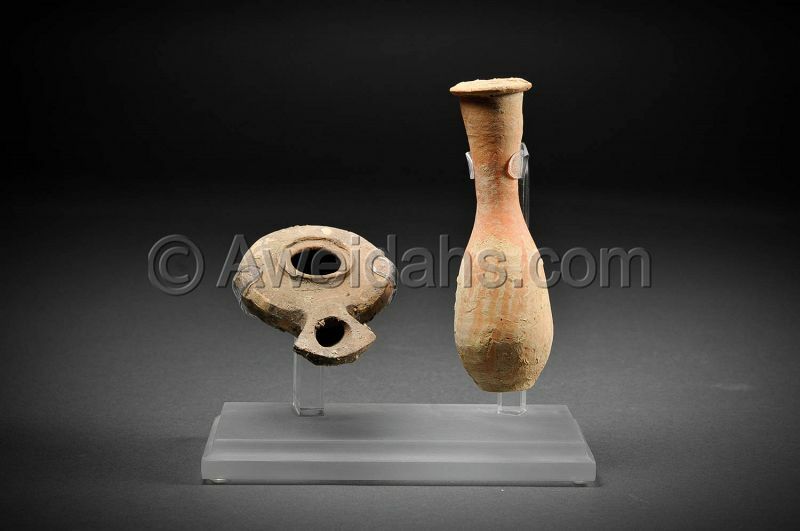 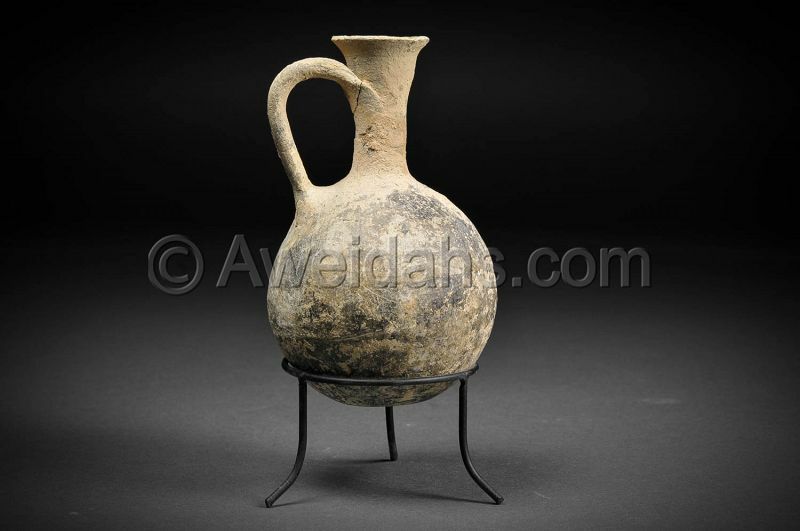 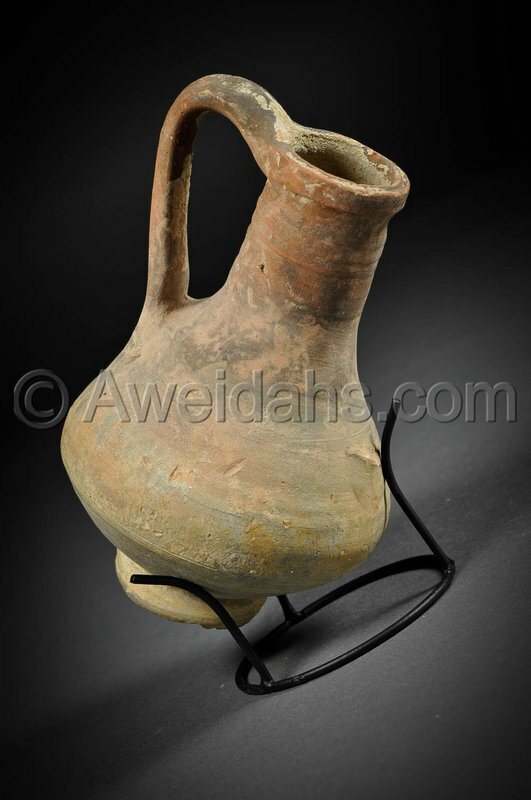 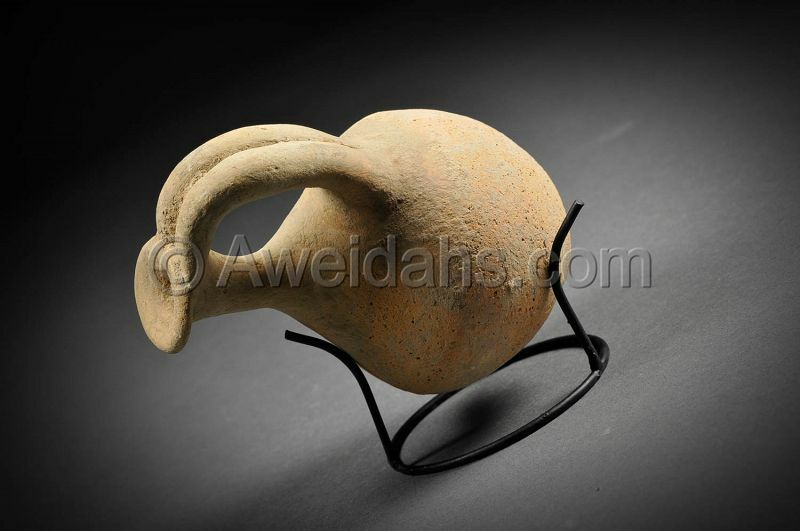 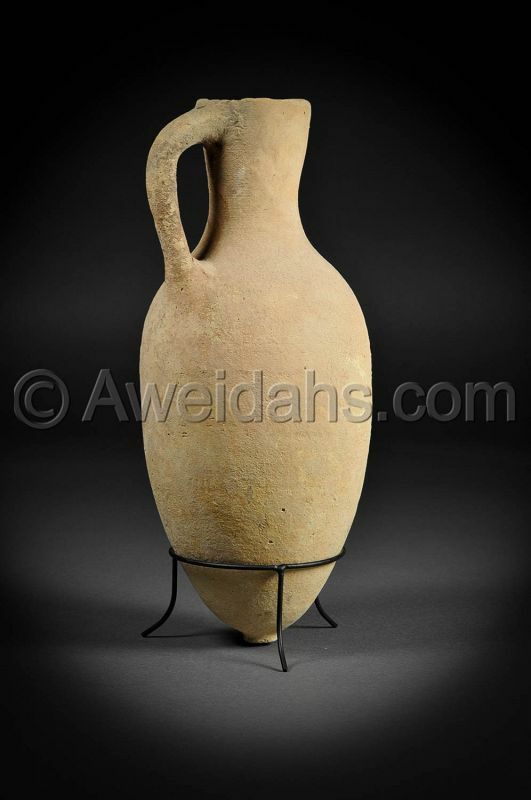 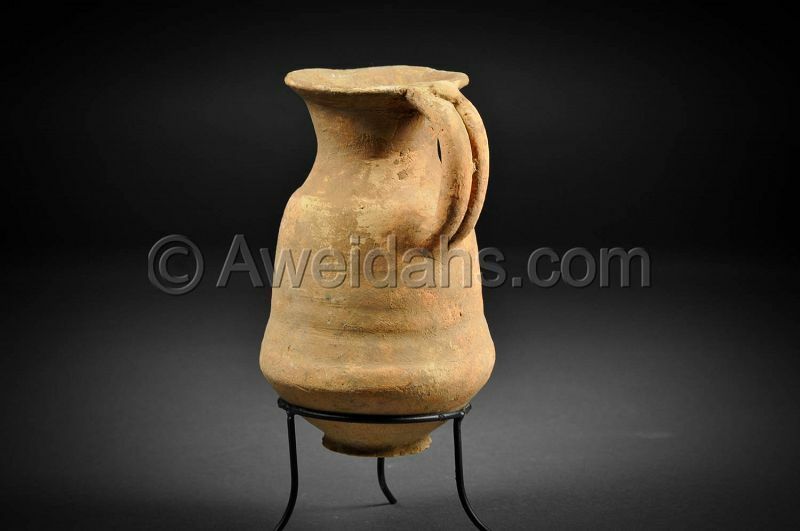 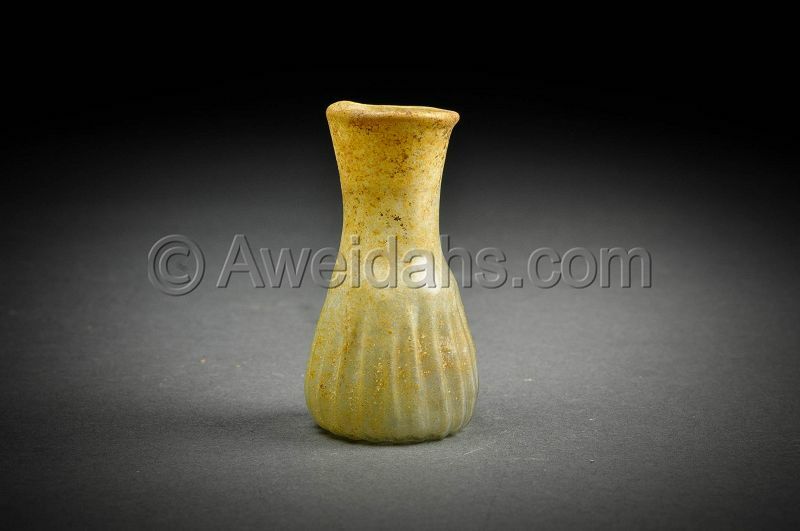 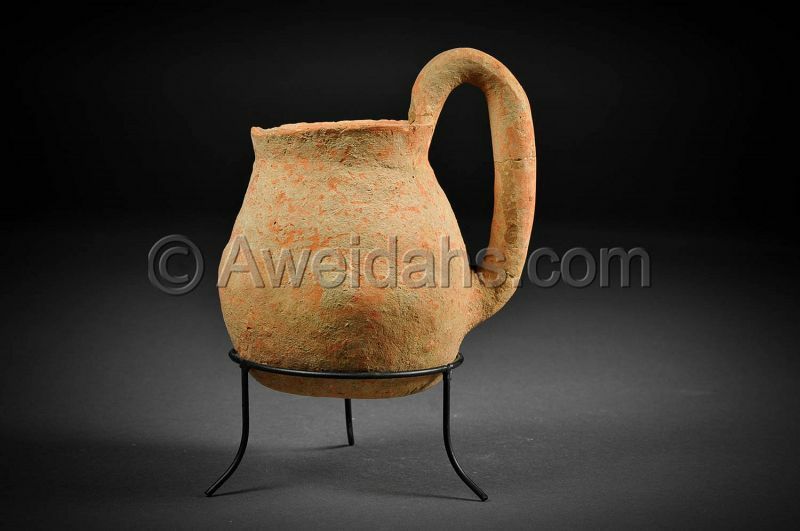 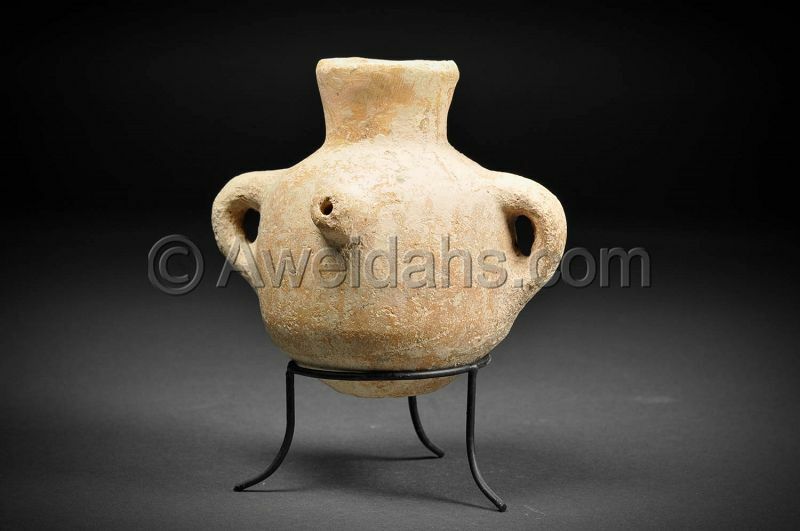 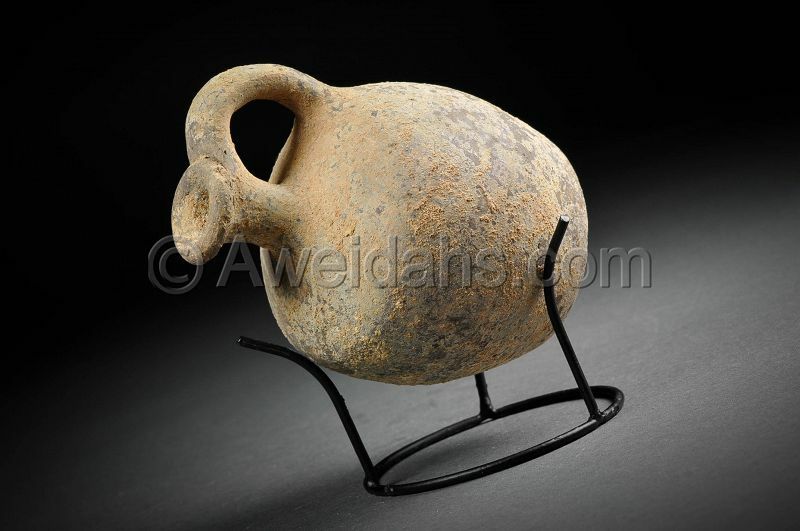 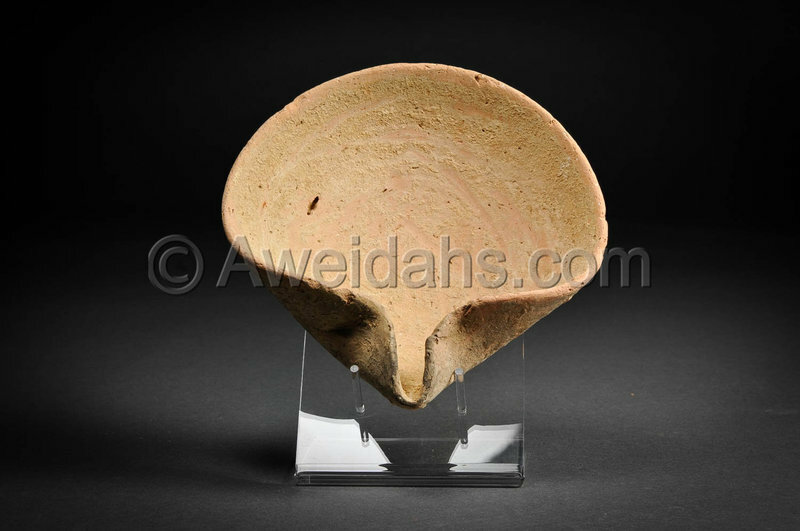 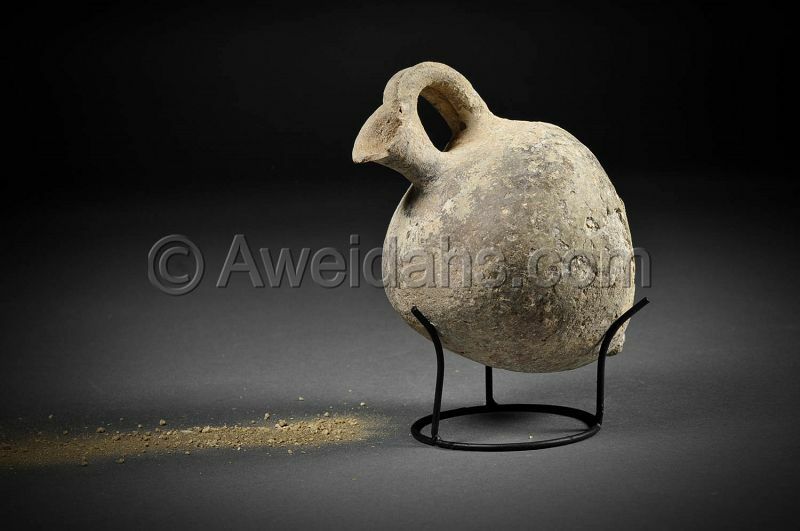 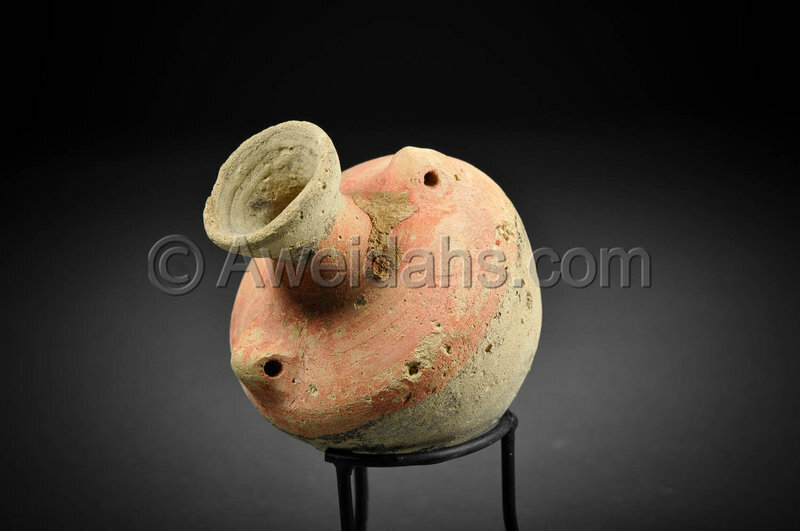 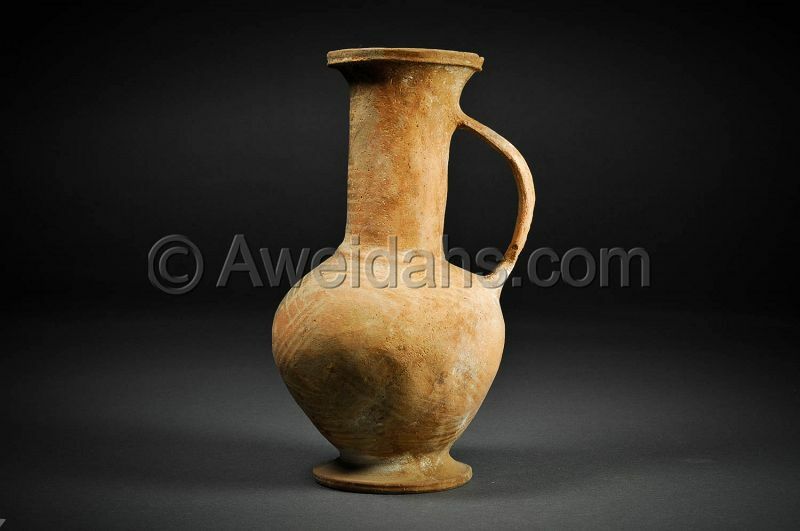 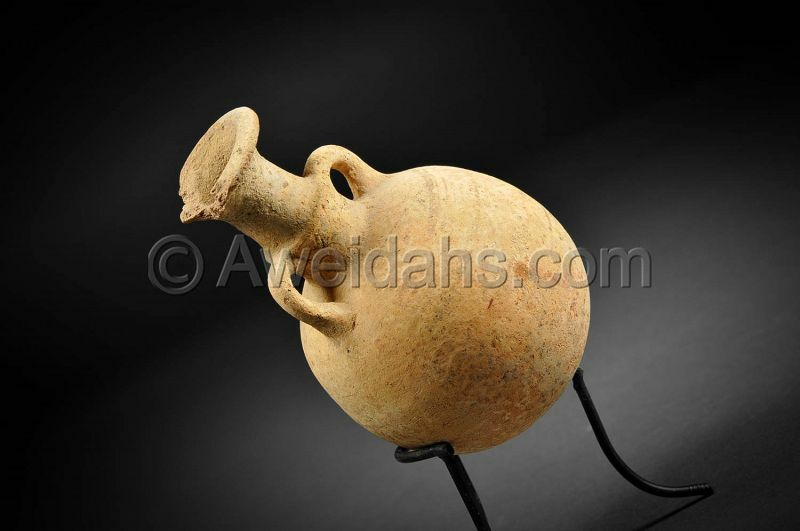 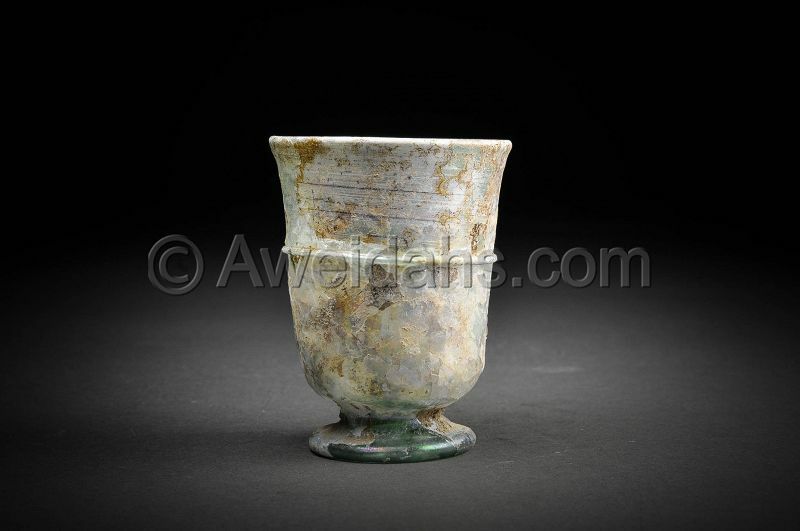 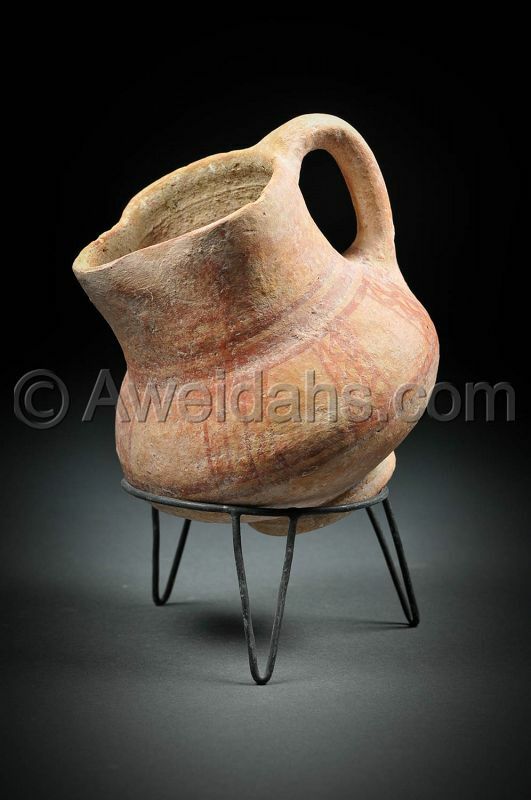 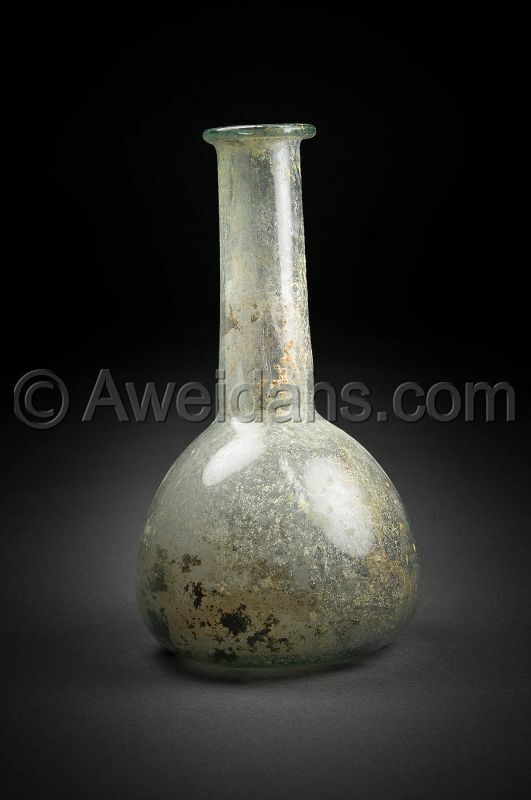 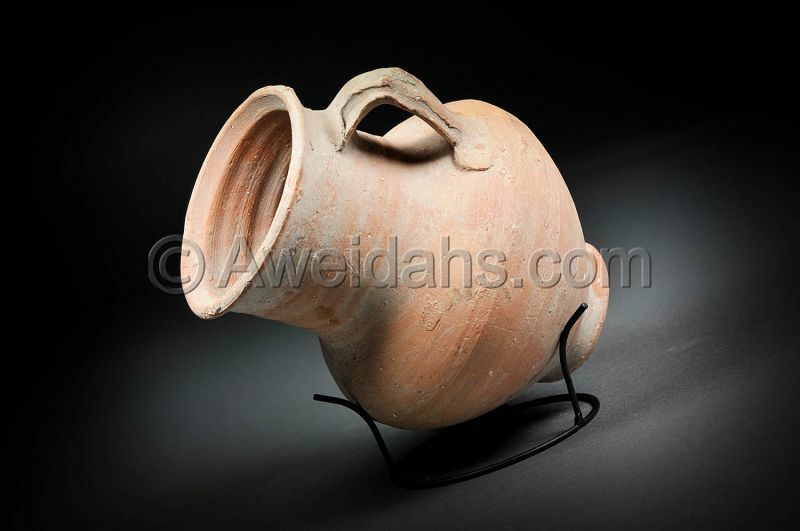 Canaanite Middle Bronze Age pottery wine pitcher, 1850 B.C. 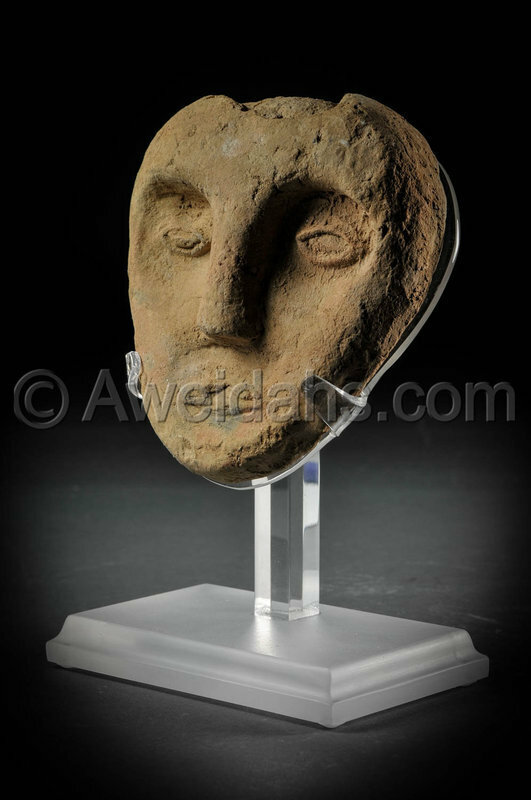 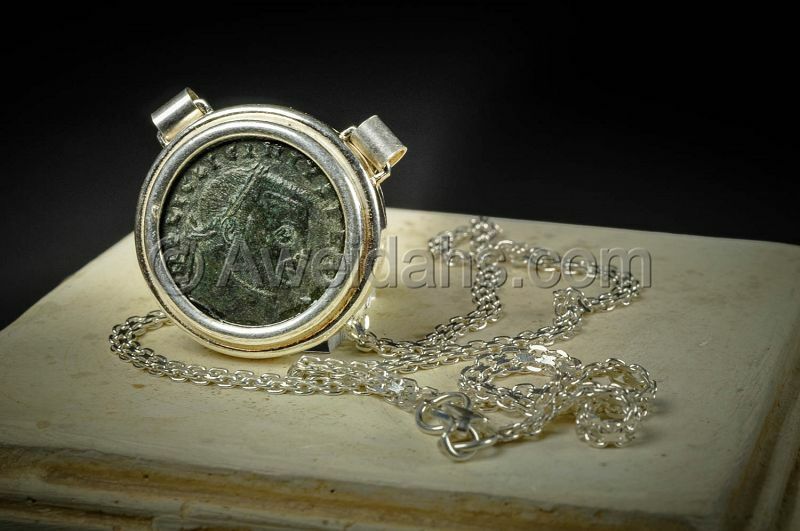 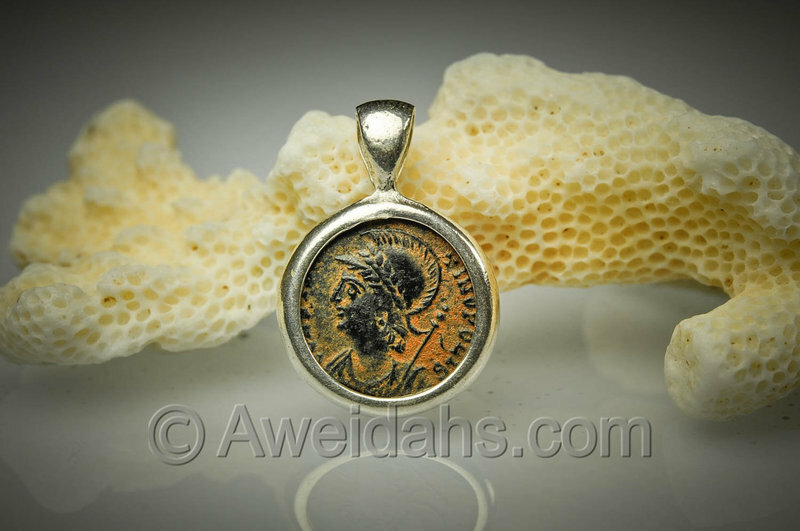 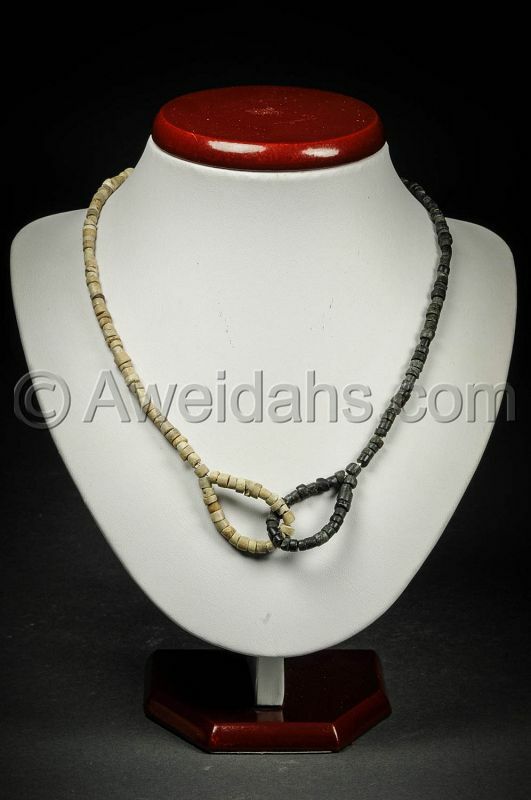 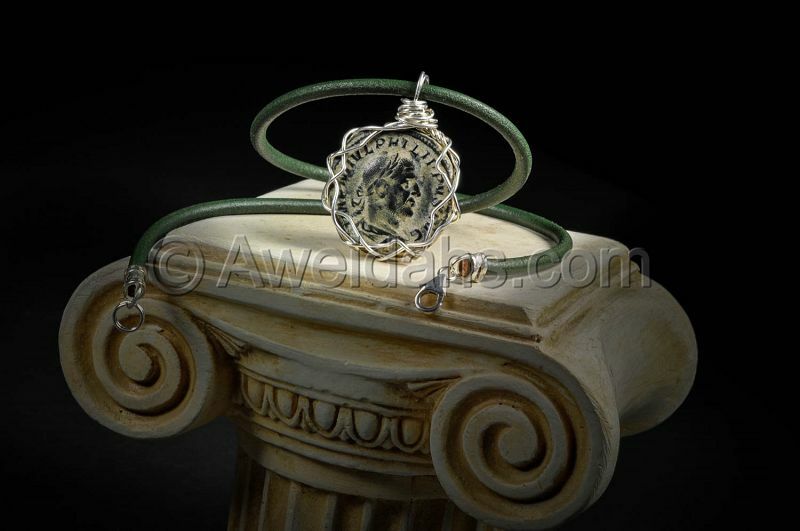 Ancient Roman bronze coin necklace of Emperor Licinius, 308 - 324 A.D.
Roman terracotta mask, 1st - 3rd Cent. 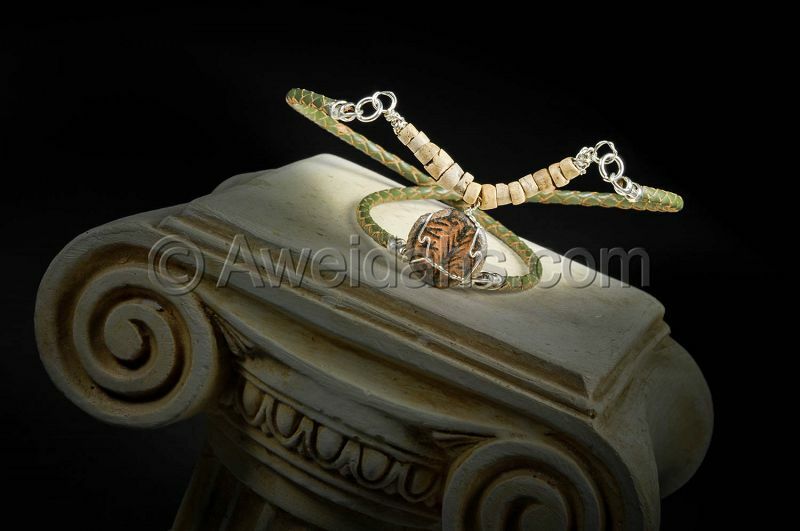 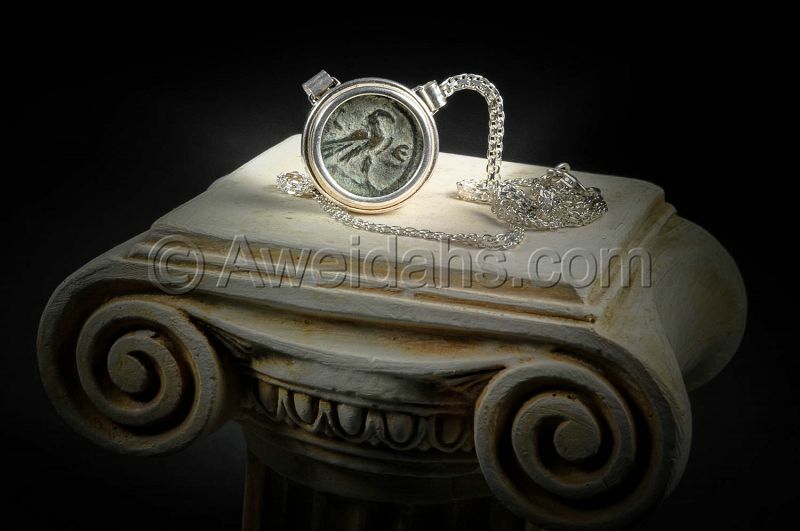 A.D.